In life, you have to take care of so many things. Your job, your hobbies, your passion and so much more come in the list of your preference. In the midst of all these what you seriously forget is to take care of your health. Precisely when it comes to health, you are least bothered about the care of your teeth. The importance of oral care is never felt until you experience a serious oral problem. It is then you understand the importance of dental care. In such cases, General dentistry comes to you as a savior. 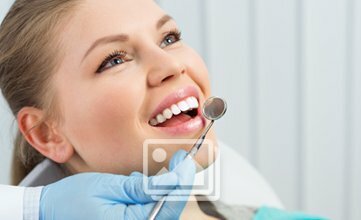 General dentistry is the process where dentist understands your real problem and treats it with appropriate treatments. Tooth N Care is the best dental clinic in Kodambakkam. The importance of general dentistry is always felt by people. The person who practices general dentistry is known as a dentist. The dentist knows the exact treatment of your oral problem. There are various special fields in General dentistry. The dentist can specialize in various areas like dental technicians, dental assistants, dental hygienists, and dental therapist. Individual areas have specific functions. Dentists offer various preventative and therapeutic treatments. The treatments are done according to the problem. In general, you can visit the dentist for normal dental check-ups. This can help you to avoid future dental problems. There are endless dental problems. Due to lack of care, people often have to face various dental problems. Some of the common dental problems are tooth cavity, foul odor problem, gum bleeding, tooth decay, pigmentation and many more. These problems are very common in the modern times. If you are one of them, then you do not need to worry about it. You can take the help of general dentistry to avoid future problems. There are various treatments available for these dental issues. You can opt for the specific treatments that are necessary for you. There are various methods of treatments. All kinds of dental treatments are available in general dentistry. Some of the common dental treatments are mentioned below. These methods are very popular, and millions of people get benefited with these. Uprooting: Well tooth uprooting is very commonly done. If you have a decayed tooth, and the infection has spread then, dentist recommends this treatment. This treatment involves uprooting of the tooth. The tooth is completely taken out of its place to prevent future infection. root is canalling: Root canalling is done to fill the decayed space of the tooth and prevent it from infecting other teeth and its area. It is done to clean the bad tissues of the tooth surface and fill the area with soft cemented substance. Orthodontics: Orthodontics is done in the case of irregularly shaped teeth. This treatment sets the irregular teeth in proper order. It takes a long time to complete this treatment but it is very useful. Scaling: This treatment is done for cleaning the teeth. It is very commonly recommended by the dentists. It is a process of cleaning the teeth and keeping it away from future problems.